Background: Veterans who are found to need the assistance of a fiduciary to handle their finances have their names added to the National Instant Criminal Background Check System, preventing them from legally possessing and purchasing firearms. The VFW has long opposed this practice because veterans should not lose the constitutional rights they have fought to protect and defend without proper due process. Currently, VA examiners can arbitrarily determine that veterans are mentally incompetent based on service-connected disabilities, immediately denying them their rights. 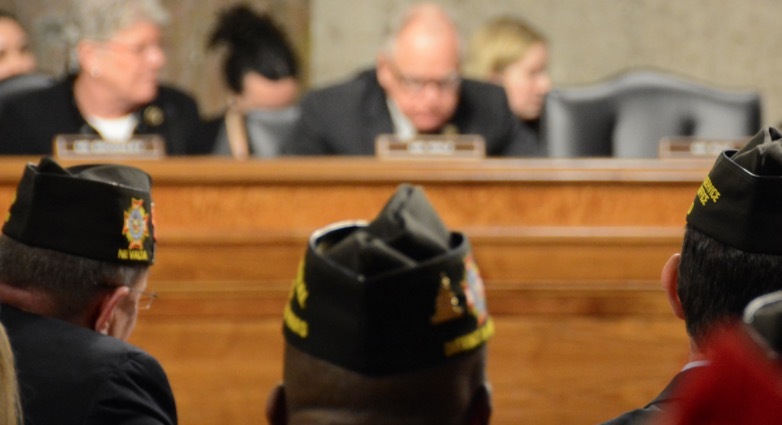 The VFW is also concerned that this practice stigmatizes mental health care by forcing veterans to choose between the mental health care they need to cope with injuries they sustained during military service and their ability keep and bear arms. Tomorrow, the House of Representatives will vote on H.R. 1181, the Veterans 2nd Amendment Protection Act. This important bill would ensure veterans do not lose their right to purchase firearms without an order or finding of a judge, magistrate, or other judicial authority of competent jurisdiction. Take Action: Contact your Representatives and tell them to pass H.R. 1181, the Veterans 2nd Amendment Protection Act. Let them know that veterans must not be deprived of their rights simply because they choose to receive the care and benefits they have earned.